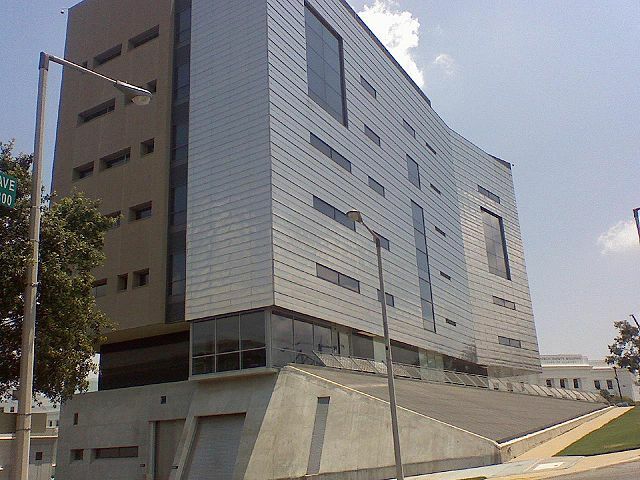 (Wikimedia Commons/Nameofuser25)The Southern Poverty Law Center headquarters in Montgomery, Alabama. The nonprofit law firm Alliance Defending Freedom (ADF) has reportedly been removed from Amazon's donations program due to its designation as a "hate group" on the website of the Southern Poverty Law Center (SPLC). The ADF announced in a statement on Thursday that it has been excluded from the AmazonSmile program, which allows customers to donate a portion of their purchases to a charity of their choice. Michael Farris, the president of the legal group, claimed that the removal was due to the retailer's reliance upon the SPLC. The conservative group acknowledged that SPLC "did good work many years ago," but it has since "devolved into a far-left propaganda machine that slanders organizations with which it disagrees." The ADF further explained that the SPLC has been accused of being involved in a "direct mail scam," that allowed the left-wing organization's leaders to accumulate "enormous fortunes." "It is no surprise that the United States Department of Defense and the Federal Bureau of Investigation have severed ties with the SPLC," the ADF stated in the letter, as reported by CBN News. According to The Federalist, the SPLC's tax records have revealed that its assets has amounted to nearly half a billion dollars, but the organization's efforts are more focused on fundraising than actual legal work. The ADF urged Amazon to consider re-enlisting the legal group in the AmazonSmile program and to inform its customers in its policy that it uses the SPLC's list to determine eligible recipients. "If you are going to rely on a discredited partisan organization like the SPLC to determine who is eligible to participate in AmazonSmile, you should disclose that in your policy and to your customers," Farris stated in a letter to Amazon, as reported by The Federalist. "Your customers have a right to know that you've placed such an organization as the gatekeeper to participation in a charitable program," he added. The SPLC was once known for fighting legal battles against white supremacist groups like the Ku Klux Klan, but the group has been drawing criticism for including conservative organizations in its "hate list." The hate list has been blamed for inspiring a gunman to storm the headquarters of the Family Research Council in 2013 and shoot the security guard. The SPLC released a statement after the shooting, saying it "deplores all violence," noting that it directs its criticisms to anyone who encourages violence whether they are "on the political left or the political right."